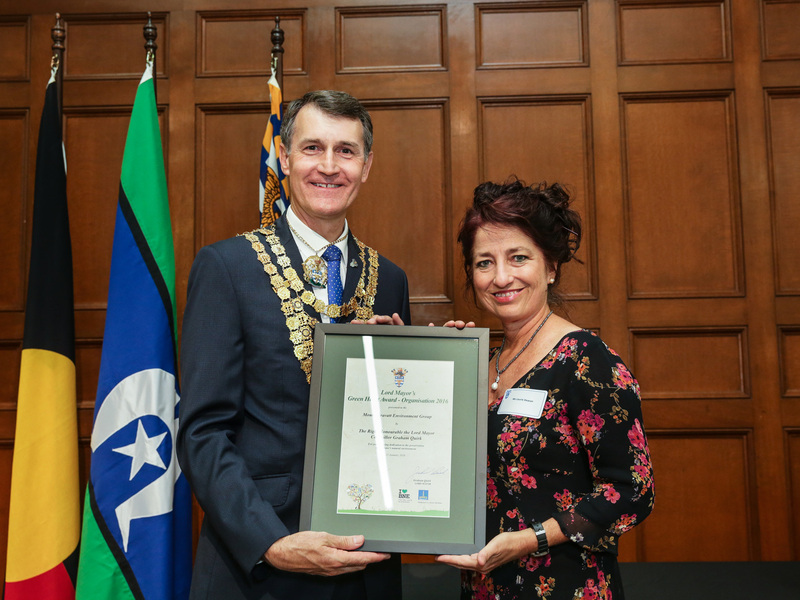 Mt Gravatt Environment Group was honoured on Australia Day with presentation of the Lord Mayor’s Green Heart Award – Organisation 2016. 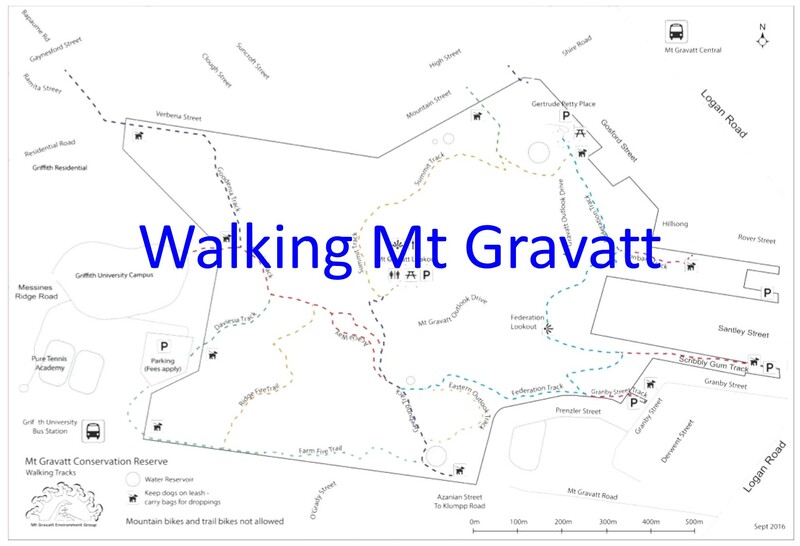 “Mount Gravatt Environment Group is dedicated to their local environment. 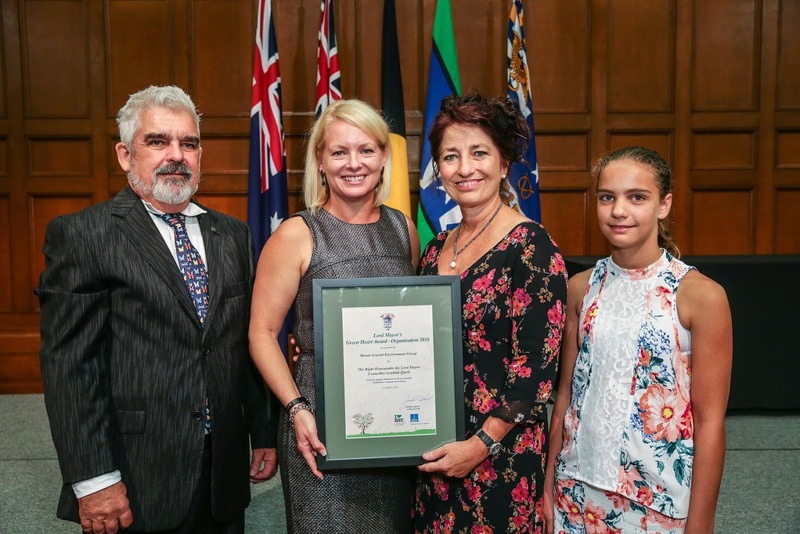 Their mantra ‘bringing birds and butterflies back to suburbia’, is achieved by the careful planning and implementation of many projects within the local community including mountain and gully restoration and various flora and fauna projects. 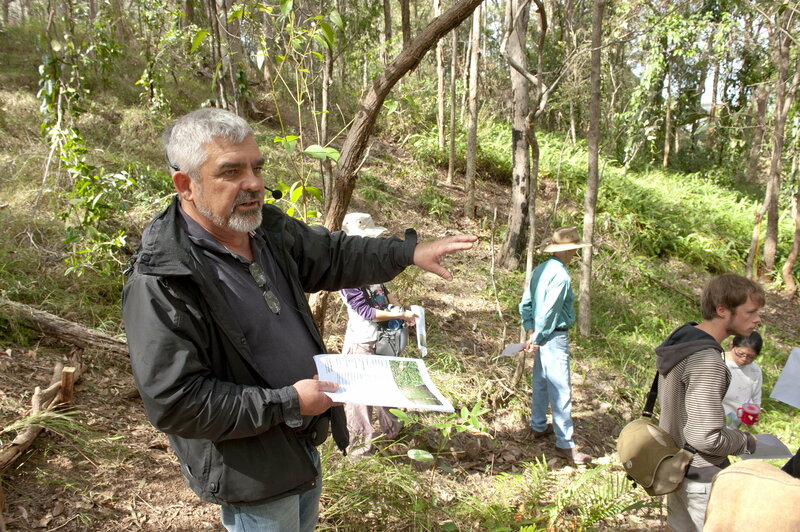 The group has been responsible for the rehabilitation of Fox Gully into a vibrant wildlife corridor. Our President, Laurie Deacon, Sigrid – representing the next generation, and I all attended the award ceremony. An impressive event held in City Hall and hosting an amazing group of individuals members who are giving their time generously to our community. 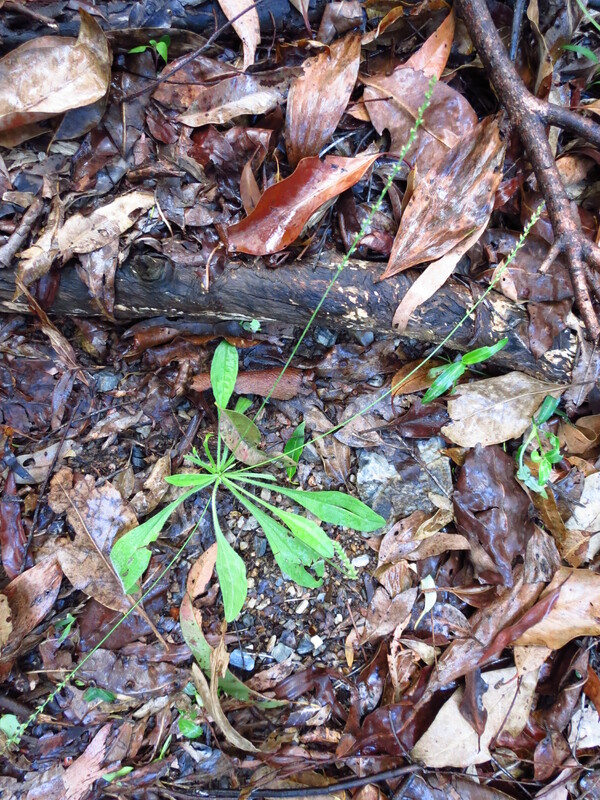 The rain is frustrating when we have to cancel Bushcare events, however, it is also bringing the forest alive with three new plant species added in one week. 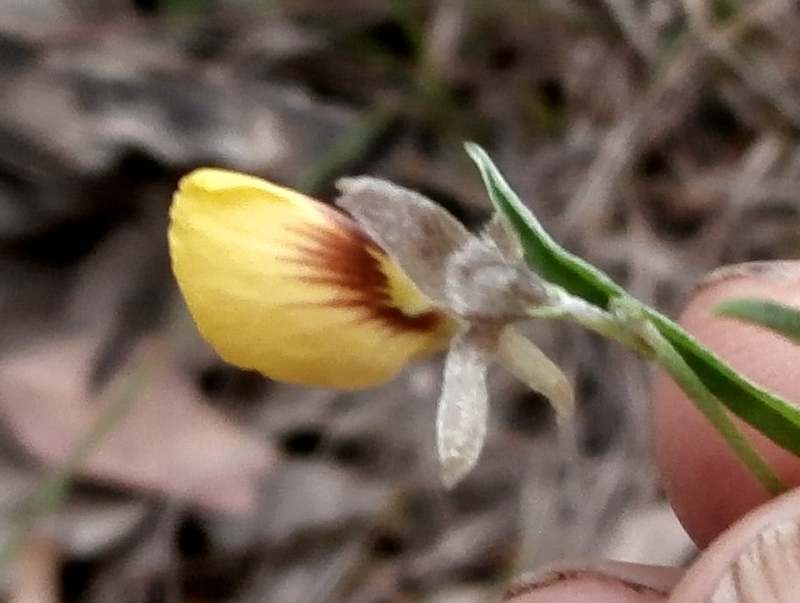 Susan Jones has found that removal of weeds and restoration at the Gertrude Petty Place Bushcare site has allowed natural regeneration of a number of plant species including this rare/threatened Fabaceae species Isotropis filicaulis. Swamp Bindweed Polymeria calycina a delicate creeper with pink flowers. Plantago debilis a small native herb that provides seeds for native birds. Addition of these three new species means we now have 268 native plant species in Mt Gravatt Conservation Reserve. Thanks to Ann Moran, Jaeger-Moran Environmental, for help with identification. 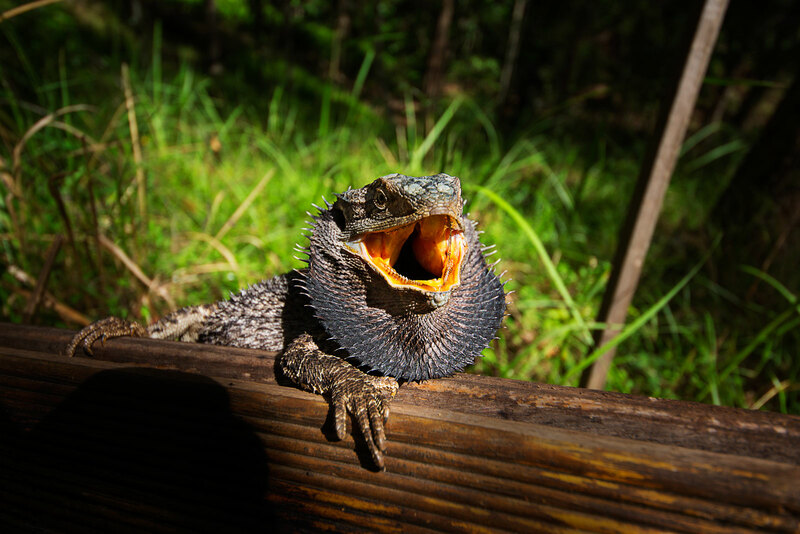 On the other side of the mountain Alan Moore got this amazing close-up of an Eastern Bearded Dragon with its beard on display in Fox Gully Bushcare. What is the Koala’s favourite food tree? How do I photograph the feeling of being in the bush? These were some of the questions answered for participants at our first Environmental and Photography Workshops held at the Fox Gully Bushcare site. The workshops were made possible by a 2010 BCC Environmental Grant. Field Botanist, Ann Moran, has thirty years practical experience in biodiversity assessment, weed management and revegetation planning. Ann also has a passion for working with people: indigenous communities, teaching at university or simply sharing her knowledge on guided walks. I first met Ann in 2007 when she was doing an environmental survey on the mountain. Since then Ann has generously shared her expertise by identifying plant species I have photographed. 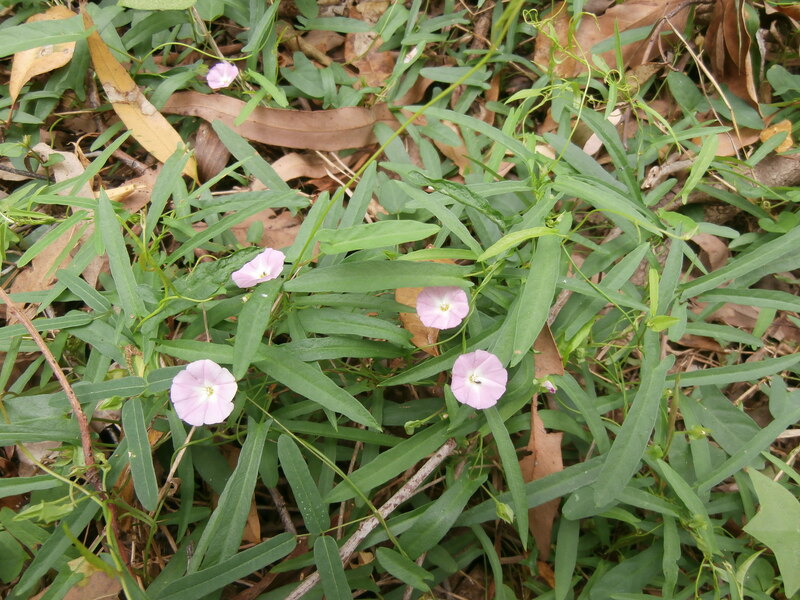 Ann’s commitment to community groups has allowed me to quickly nail invasive weeds like Whiskey Grass, while adding one hundred native plant species not previously identified in Mt Gravatt Reserve. 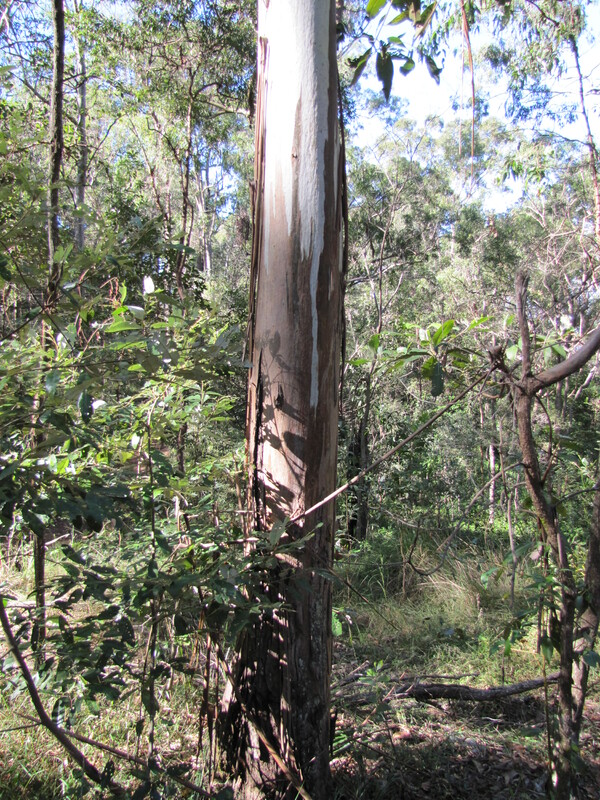 Ann is currently helping us edit the first published version of Flora & Fauna of Mt Gravatt Reserve. 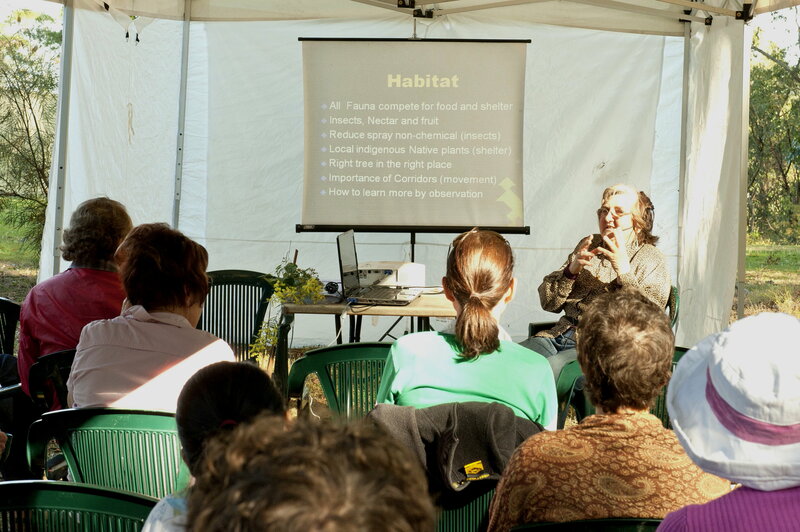 Ann’s presentation built up our understanding of the complexity of our local habitat starting with the basics: understanding the importance of wildlife corridors for movement, the major threats to biodiversity (like the clearing of native vegetation and invasion by alien species through garden waste dumping), changed fire management practices and global warming. 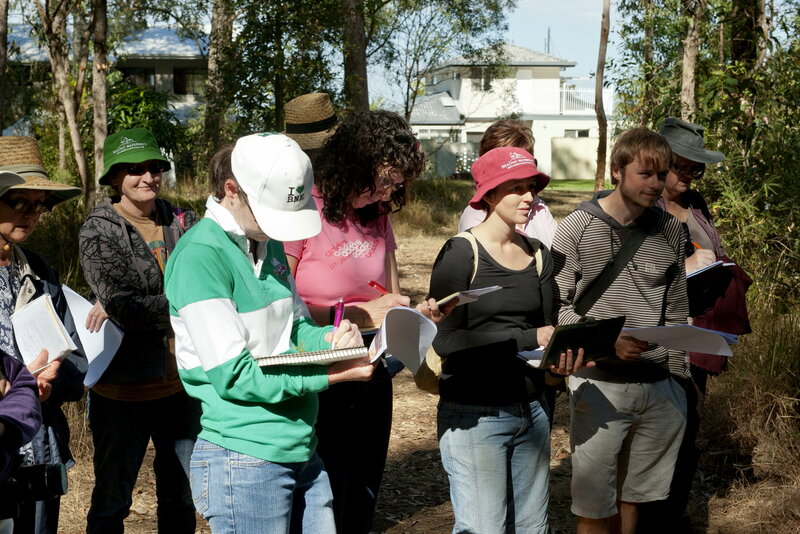 All this information was related to our local flora and fauna species with powerful insights into the relationships between the plants and their dependent animals.It was a real pleasure to watch Ann’s information being soaked up by participants who took lots of notes and asked questions as Ann led a short walk around our restored areas. As Ann was depending crutches that day, I led the group on a tour of the less accessible restoration areas explaining the effectiveness of natural re-generation. Nature is now repairing the area where Fishbone Fern has been removed in Zone 13. In less than twelve months native grasses have already covered cleared areas and is now suppressing weed growth, all with no action other than weed removal. Ann calls this Green Mulching: using native grasses to control erosion, retain moisture and suppress weeds. We also inspected the native grass lawn established at the rear of Heather and Alan’s house: taking the bush into the backyards to reverse the edge-effect. Local photographer, Alan Moore is a passionate amateur who has that rare ability to capture the elusive feeling of being in the bush so you can put it on your wall at home. 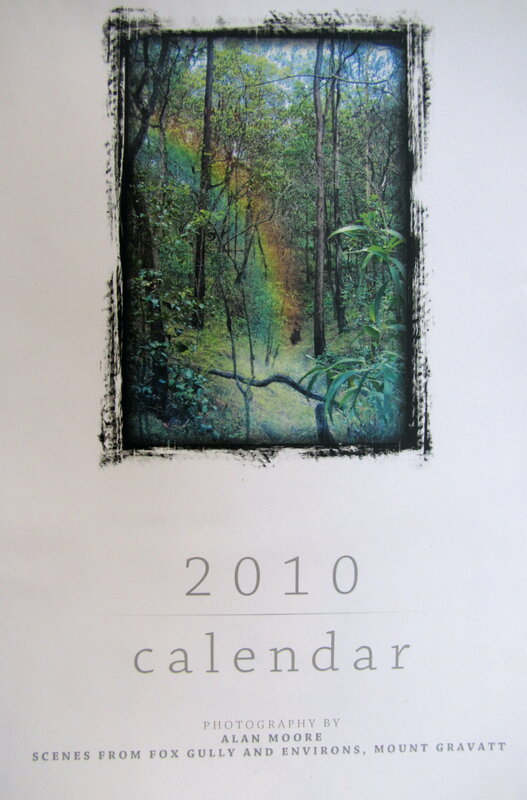 At Christmas 2009 Alan blew me away when he presented me with a custom made professional quality 2010 calendar with these extraordinary photos that truly captured our bushland home. So when it came planning our workshop I asked Alan if he would share his knowledge and creativity with our community. Alan’s presentation, Pixplore, introduced simple techniques like the flat plane concept to manage the very short depth of field typical of macro photography: hold the camera parallel to the subject to ensure the best focus for the whole subject. Now I understand why I often have trouble when photographing small insects with the head in focus but the body blurred. Following the presentation Alan sent the group off on assignment to apply their new knowledge to capture the feeling of being in the bush. 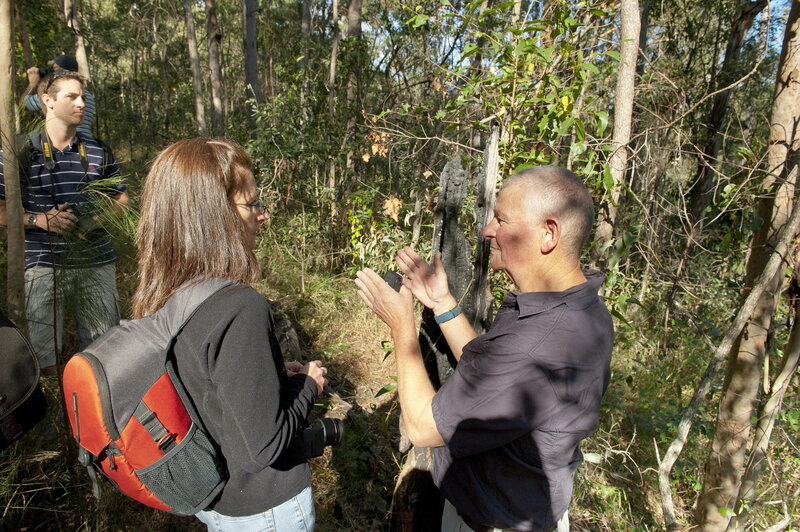 Alan shared his creative insights and introduced participants to new ways to see the bush, new ways to experience the flora, fauna, geology and human structures in the landscape. On return from assignment the participants shared the most amazing range of photos that captured our bushland and showed me new insights to this special place. 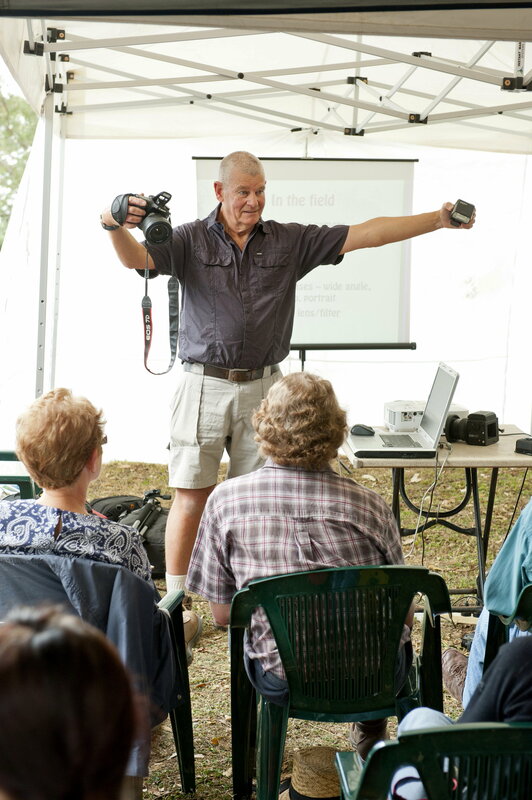 Alan has kindly critiqued a number of photos from each participant and provided valuable comments. Click to see “The Mountain through other eyes”. And what is the Koala’s favorite food tree? These beautiful straight trees are also a favorite of the forestry industry because of the rich red timber colour, thus Forest Red Gum.